ICO format is a standard file type for storing icons that are usually used as shortcuts for files and folders on computers or mobile devices. If there are some icons designed and stored in TIFF format, you can make them suitable for installing on your files by converting TIFF into ICO. ICO format is very compact in size, one file can store one or a few icons of fixed size. 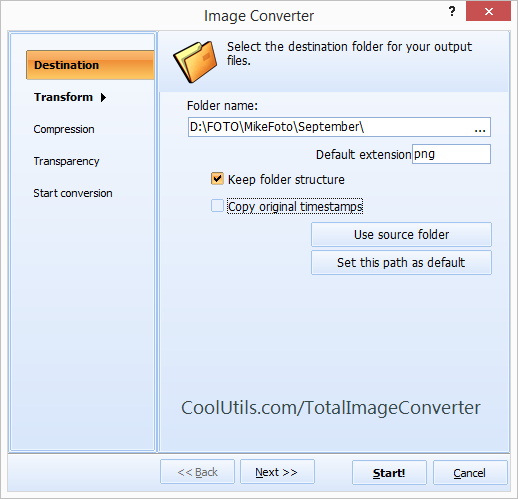 With the help of Total Image Converter you can turn any TIFF image to a computer icon of standard dimensions automatically. These options allow to set the output format converted filed will be saved in. When you convert TIFF to ICO in batch, it is very important to get files of required size. There are a few standard icon sizes for different gadgets, and all of them are available in conversion settings. 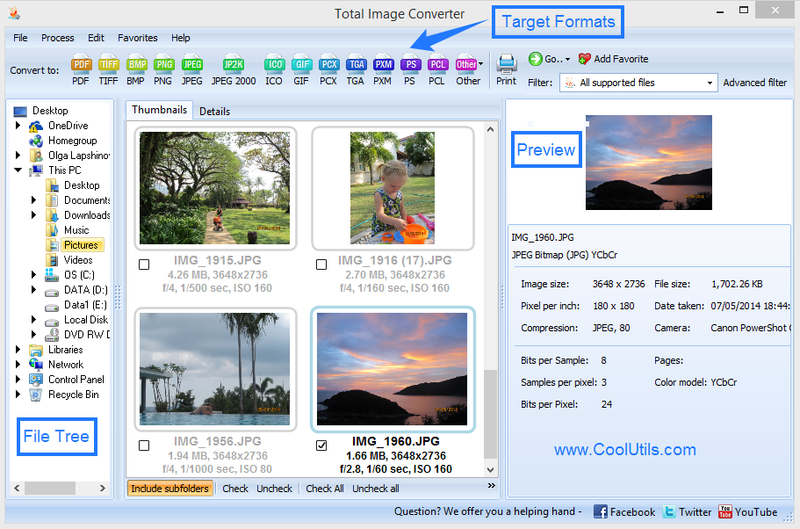 If you are not sure what size you need, Total Image Converter offers ‘Select best resolution’ option. Transparency helps to create transparent icons with any background colour you wish. Mention that this batch image converter also can be used from the command line. 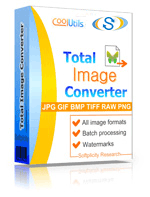 In this mode Total Image Converter works in background mode, without GUI. One command is enough to convert all necessary files. Try it now, both GUI and command line versions are available in one pack.